And get unlimited access to this gym and 1817 others. Rated by visitors as one of the best gyms in Farnham, Nuffield Health Fitness and Wellbeing gym is situated in leafy GU9, a short drive from the A31 and just off Weybourne Road. The gym is well-equipped with treadmills, resistance machines, free weights and squat racks, as well as a large personal training room. The air conditioning also ensures that your workout experience is a comfortable one. 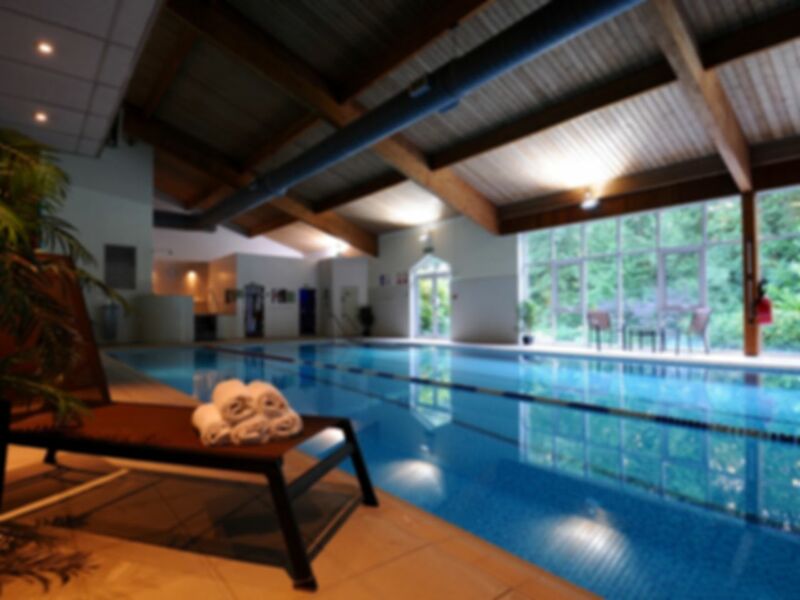 The swimming pool, sauna and steam room provide gym-goers with relaxing options, while the café, outside garden area and the adult-only policy help to create a peaceful, rejuvenative atmosphere. Offering free on-site parking and lying off Weybourne Road, the gym is easily reachable for motorists using the nearby A325 and A31 as the main road links. The gym lies in between Farnham and Aldershot Rail Stations, both 30 minutes (1.7 miles) away by foot. Each station is well connected by bus, the numbers 17, 18 and 19 all stopping at Bullers Road, just a minute’s walk from the gym. Remember to check times of swim classes if you plan to use the pool. Fantastic. Friendly staff and great facilities. Really enjoyed the experience. Great gym facilities, pool lovely but spa area quite small and had to wait to use steam room and sauna. All great apart from the following: The car park potholes need fixing. After a recent £1k+ replacement to my tyres, I’n trying to avoid anywhere that could damage my car. The jacuzzi could be bigger. I especially like the pin pads on lockers - other gyms should use this as well. One of the best gyms I’ve been to in the UK. Friendly staff, always clean and tidy!